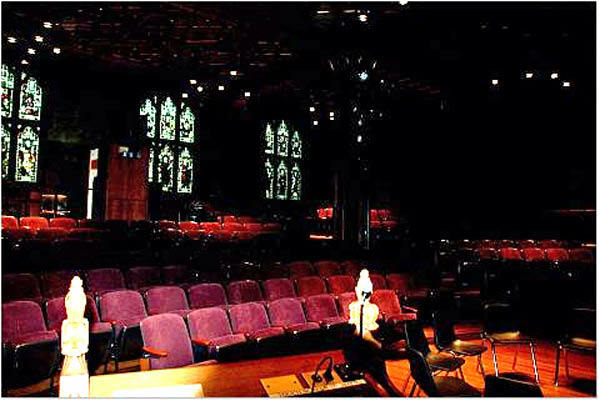 • We thank Kathryn Crawford for so kindly arranging Milbank Chapel and room 285 Grace Dodge for our workshop!  Public Event - Everybody Was Warmly Invited to Come! 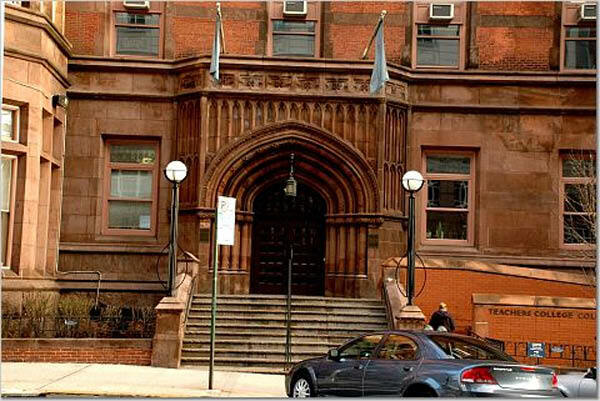 Columbia University, Teachers College, 525 West 120th Street, New York, NY 10027. This part of our workshop was not public. You were warmly invited to get in touch with us, if you wished to participate.  Please see also US SERVAS, hosting people generally for one to two nights. Any extension beyond that is up to the host to extend, and traveler to accept. Most NYC hosts do not host more than a week, if the visitor is someone they really feel comfortable with and grow to like. Again, that is up to the individual.  Please see furthermore Sara's New York Homestay, through which international students, visitors, interns or executives who come to New York, Los Angeles, Paris or London for a short period of time (1 to 12 months) can find a place to stay. Please have a look at our previous meetings and at the newsletters written after these meetings! See our newsletter Nr. 8, compiled subsequent to this meeting. 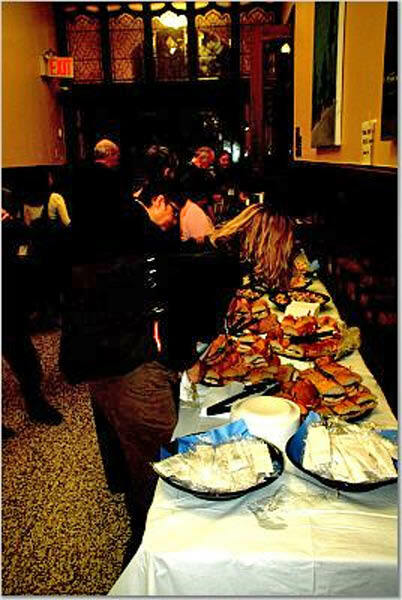  Public Event: Everybody was warmly invited! Since 2004, CICR on behalf of CU-CRN and HumanDHS invites selected groups of scholars, counselors, conflict resolution practitioners, mediators, and teachers among other professions for a two-day workshop every year to explore issues of conflict and emotions and its application to actual negotiations and diplomacy. The aim is to particularly probe the role of the notion of humiliation from the two different angles of conflict and emotion. We believe in "waging good conflict" (Jean Baker Miller). We believe that diverging opinions and perspectives need to be expressed and not avoided, because diversity enriches. However, diversity only enriches if embedded into mutual connection and appreciation. If not harnessed lovingly and caringly, diversity has the potential to divide, create hostility, and foster hatred and even violence. In the spirit of our vision, we, the HumanDHS network, wish therefore to avoid the latter and foster an atmosphere of common ground and mutual caring connection as a space for the safe expression of even the deepest differences and disagreements, and the toughest questions of humiliation, trauma, and injustice. Every Round Table is being opened by brief remarks by each participant to present their entry points into the inquiry. In order to facilitate feedback, we are asking that papers/notes are sent in to us in advance. We wish to make available your brief synopsis of 1 to 4 pages, with references, prior to the workshop through this site so that all participants can meet virtually before meeting in person. Longer papers are welcome as well both prior and subsequent to our workshops, not least for the envisaged publications of the results of our meetings. Please notify us, if you wish to submit any of your papers also as a book chapter or as a journal article in our Journal of HumanDignity and Humiliation Studies. It is important to emphasize that an appreciative approach is not about expecting people to agree. In fact, differences of opinion enrich the conversation and deepen people's understanding of ideas. This could be conceptualized as "waging good conflict," which means practicing radical respect for differences and being open to a variety of perspectives and engaging others without contempt or rankism. As we have seen in many fields, contempt and rankism drains energy away from the important work that needs to be done. Most people only know "conflict" as a form of war within a win/lose frame. "Waging good conflict," on the other side, is about being empathic and respectful, making room for authenticity, creating clarity, and growth. Please click in the middle of the pictures to see more photos. Donald Klein and Linda Hartling set the frame of our meetings within "Appreciative Enquiry" and we create a list of agreed upon norms having to do with the nature and tone of our dialogue. Please read An Appreciative Frame: Beginning a Dialogue on Human Dignity and Humiliation, that Linda has written for us in 2005. 11.00 am - 12.30 pm Introductory Presentation: Humiliation in a Globalizing World: Does Humiliation Become the Most Disruptive Force? Please click in the middle of the picture to see more photos.  We have two yearly meetings, the Workshop on Humiliation and Violent Conflict in December at Columbia University in NY, and an outside-of-the-US meeting. This year this meeting took place in Costa Rica. • Christopher announced our new Journal of Human Dignity and Humiliation Studies. 1.15 pm - 3.00 pm Round Table 1: How Is Humiliation Relevant to Destructive Conflict? 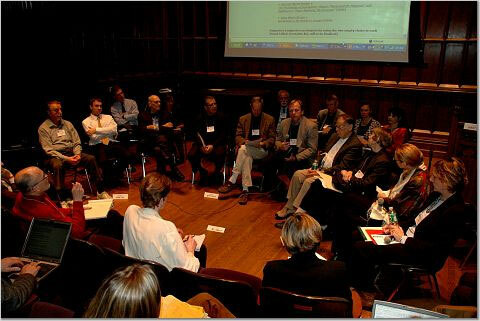 We liked the Round Table discussion format we first used in our 2004 NY meeting. Everyone has ca. 10 minutes to present their entry point into the discussion, then we have an open discussion. We have 2 empty chairs in the circle that can be taken by participants from the audience who wish to introduce a question or comment. We also liked the experience with two moderators for each Round Table. In that way, the moderators are not prevented from also being participants. While one moderator makes a contribution as a participant, the other takes over, and vice versa. With only one moderator, s/he would not be so flexible. 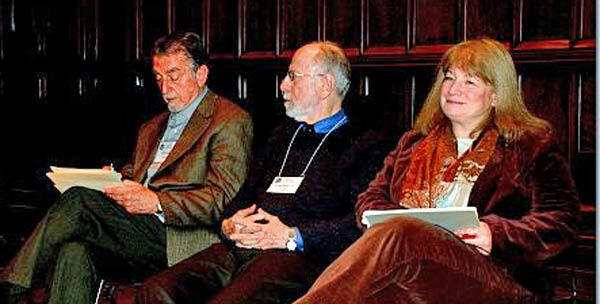 Please see Appreciative Facilitation: Hints for Round Table Moderators, kindly written in February 2006 by Judith Thompson to support the moderators of our workshops. 3.15 pm - 5.00 pm What Now? Arye Rattner. Please click in the middle of the picture to see it larger. We discussed possible and necessary routes of action. Many suggested at our 2005 meeting that we need to find a way to measure humiliation in societies so that we can show to policy makers that humiliation is relevant and needs to be included into public policy making. Ultimately, all institutions (from marriage to the United Nations) need scrutiny and restructuring so as to prevent that they have humiliating effects. Linda suggests that we have a look at Surveymonkey.com, a company that facilitates the design, collection, and analysis of survey data over the Internet. We could, for example, start with making open-ended questions about the experience of humiliation to post on this site, and then develop a questionnaire? 5.00 pm - 8.00 pm Public Reception at Milbank Chapel with Eminent Scholars and Leading Thinkers. Everybody Was Invited! Cybele focused our minds and prepared us for the following talks. Please see furthermore How The Fighting Stops: Achieving a Sustainable Ceasefire in Lebanon, to which Shibley Telhami explains (August 3, 2006): "You may note that in my most recent comment on Lebanon at the Brookings Institution, which was televised in the US, I highlighted the issue of humiliation and suggested that the solution to the problem must be based on a balance between deterrence on the one hand and dignity on the other. The discussion could be watched on video or be read at www.brookings.edu. The transcript can be accessed directly at: http://brookings.edu/comm/events/20060731.pdf." Hilary Silver is Associate Professor of Sociology and Urban Studies at Brown University, where she has taught since receiving her Ph.D. in Sociology at Columbia. Professor Silver has published widely on the topic of "social exclusion," especially for international organizations such as the International Labour Office, World Bank, Inter-American Development Bank, and currently, the Wolfensohn Center at the Brookings Institution. Her empirical research on social exclusion has been conducted at the grassroots neighborhood level in such cities as Paris, Berlin, and of course, Providence, Rhode Island. 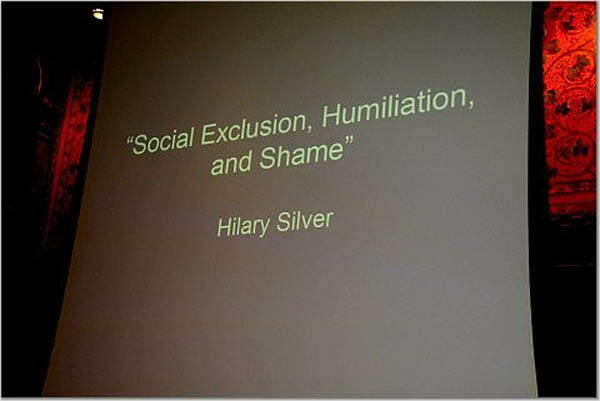 Her talk today is entitled "Social Exclusion, Humiliation, and Shame." Carlos Sluzki, Professor at the College of Health and Human Services and at the Institute for Conflict Analysis and Resolution, George Mason University; Clinical Professor at the Department of Psychiatry and Behavioral Sciences, George Washington University Medical School. Michael Kimmel, Professor of Sociology at State University of New York, Stony Brook. Michael Kimmel is a sociologist who studies gender and masculinity. For the past three years, under the auspices of the Carnegie Endowment, he has been studying the extreme right in the U.S and Scandinavia, and comparing them to the terrorists of Al Qaeda. He has found similar sorts of complaints and similar backgrounds, and similar claims about the restoration of manhood -- a theme missing from much of the discussion of humiliation -- that it is a decidedly gendered phenomenon.  Humiliation in a Globalizing World: Does Humiliation Become the Most Disruptive Force? Please click in the middle of the picture to see it larger. 11.15 pm - 1.15 pm Round Table 2: How Can the Notion of Humiliation Be Useful for Public Policy Planning and for Cultivating Positive Social Change? There are four ways to participate in a Round Table: As a discussant, a moderator, a note taker/rapporteur, and a supporter. 2.00 pm - 4.00 pm Round Table 3: What works? What types of social change efforts show promise in reducing violent conflict and humiliation while upholding the dignity of all people? 4.00 pm - 5.30 pm What Now? We invited interested participants to support Arye Ratner's efforts to include a measurement of humiliation into his projects. 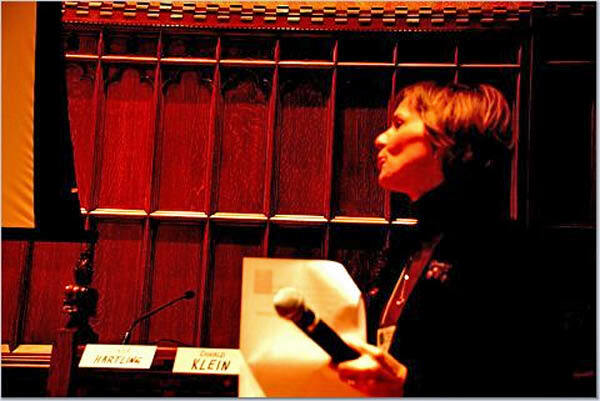 His paper for our 2004 workshop, Oppression and Conflict, was first presented at the Interrupting Oppression and Sustaining Justice Working Conference at ICCCR, NY, February 27-29, 2004. Please see here his Foreword to Lindner's Book on Humiliation.  David A. Hamburg is President Emeritus of Carnegie Corporation of New York. David A. Hamburg is a Member of the HumanDHS Global Advisory Board. 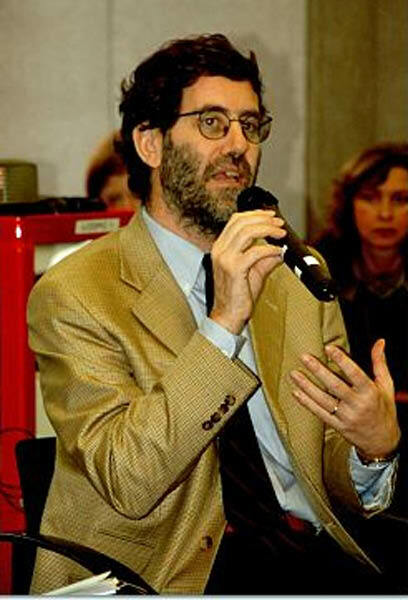 Please see Learning to Live Together (2004), and the videos of his talk at the Public Event of our 2005 workshop: Education and Humiliation (2005).  Shibley Telhami, University of Maryland, USA. Shibley Telhami is a Member of the HumanDHS Global Advisory Board. Professor Telhami has written a piece on "History and Humiliation," in The Washington Post, Friday, March 28, 2003, and has written about humiliation in The Stakes: America and the Middle East (Westview Press, 2003; updated version, 2004) which was selected by Foreign Affairs as one of the top five books on the Middle East in 2003. Please see furthermore How The Fighting Stops: Achieving a Sustainable Ceasefire in Lebanon, to which Shibley Telhami explains (03/08/2006): "You may note that in my most recent comment on Lebanon at the Brookings Institution, which was televised in the US, I highlighted the issue of humiliation and suggested that the solution to the problem must be based on a balance between deterrence on the one hand and dignity on the other. The discussion could be watched on video or be read at www.brookings.edu. The transcript can be accessed directly at http://brookings.edu/comm/events/20060731.pdf."  Alan B. Slifka, New York investment manager and philanthropist, founder of the Coexistence Initiative (Brandeis University). His topic for our 2005 workshop was Feeling at Home, Or Not, Depending on Humiliation (2005). - Peter T. Coleman and Jennifer Goldman, Conflict and Humiliation, note presented at the 2004 Workshop on Humiliation and Violent Conflict, Columbia University, New York, November 18-19, 2004. - How Humiliation Fuels Intractable Conflict: The Effects of Emotional Roles on Recall and Reactions to Conflictual Encounters by Jennifer S. Goldman and Peter T. Coleman, work in progress, Teachers College, Columbia University, 2005. - A Theoretical Understanding of How Emotions Fuel Intractable Conflict: The Case of Humiliation by Jennifer S. Goldman and Peter T. Coleman (2005), paper presented at Round Table 2 of the 2005 Workshop on Humiliation and Violent Conflict, Columbia University, New York, December 15-16, 2005. - Humiliation and Aggression, abstract prepared by Jennifer Goldman for Round Table 2 of the 2006 Workshop on Humiliation and Violent Conflict, Columbia University, New York, December 14-15, 2006.  Beth Fisher-Yoshida, Associate Director, International Center for Cooperation & Conflict Resolution, Teachers College, Columbia University, New York, USA. 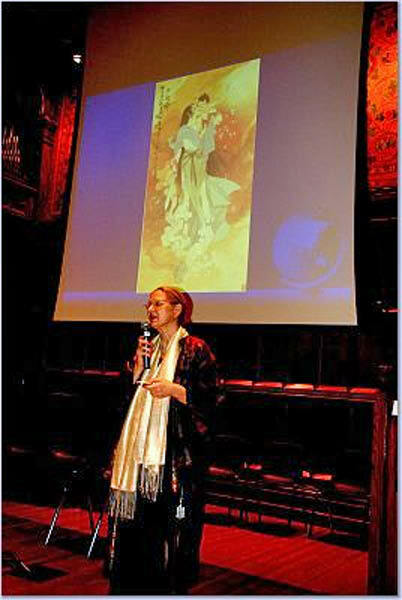 Beth Fisher-Yoshida is a Member of the HumanDHS Global Advisory Board. 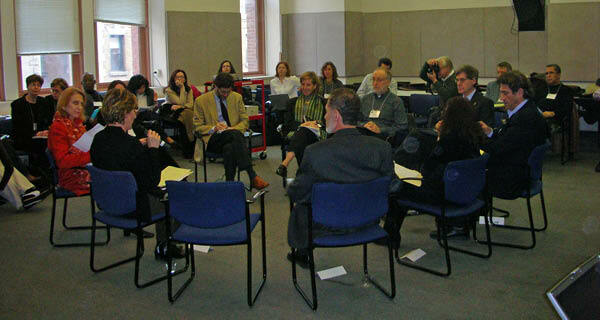 Beth kindly served as Moderator for our Round Table 1 "What's relevant in a destructive conflict?" in the 2004 and 2005 workshops. Beth furthermore kindly served as Moderator for our Round Table 1 "How is humiliation relevant to destructive conflict?" in our 2006 workshop.  Nicholas Kappelhof is an Ed.M. student at Teachers College in the department of Organization and Leadership. His concentration is in public school leadership with a specific concern for urban school reform. For the past five years he has taught English Language Arts grades 7-12 in Brooklyn and in the San Francisco Bay Area. Nicholas comes to this workshop looking to explore how issues of humiliation and shame may undermine contemporary education reform efforts and how a greater sense of dignity can be cultivated in struggling urban communities through compassionate educational opportunities. Please see How Humiliation and Shame May Undermine Education Reform Efforts, note presented at the 2006 Workshop on Humiliation and Violent Conflict.  Janet Gerson, Acting Director of the Peace Education Center at Teachers College, Columbia University, USA. Janet Gerson is a Member of the HumanDHS Global Advisory Board.  Tony Jenkins, Peace Education Center, Teachers College, Columbia University, USA. Tony Jenkins is an Academic Advisor on the HumanDHS Research Team, for our upcoming Terrorism and Humiliation Project and our upcoming Refugees and Humiliation Project. He is also a Member of our Education Team. 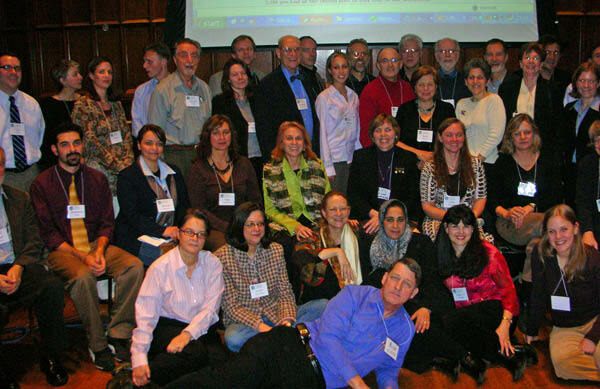 Please see the note Judy presented at Round Table 2 of our 2005 workshop: Psychosocial Aspects of the Israeli/Palestinian Conflict. Please see also the abstract Judy presented at Round Table 2 of our 2006 workshop: Transforming Conflict and Humiliation to Heal Hearts in the Holy Land: People-to-People Projects to Build Peace, Coexistence and Cooperation between Palestinians and Israelis. Maria gave the following presentation at our 2005 workshop: Conflict and Humiliation: The Simplicities of Reversing Destructive Conflict. The Association for Conflict Resolution Crisis Intervention online newsletter featured this presentation in its 2006 February issue.  Donald Klein, Union Institute and University, Cincinnati, Ohio, USA. 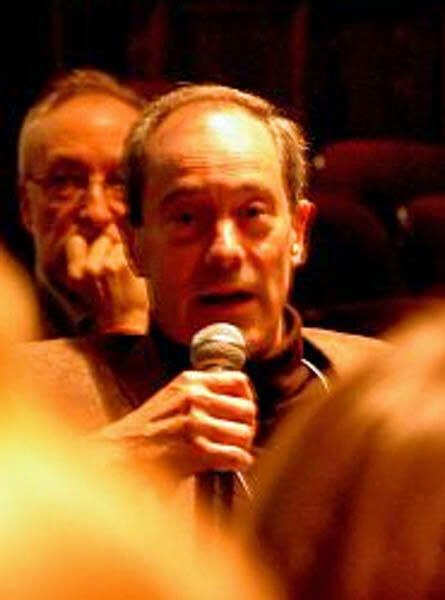 Donald Klein is a Member of the HumanDHS Board of Directors, a Member of the HumanDHS Global Advisory Board and Global Core Team. He has furthermore been the Director of our Education Team since 2001. Becca is Don's daughter and very kindly maintains our internal database. She has, furthemore, with breathtaking efficiency, prepared the notes for all our past meetings. Unfortunately, she could not be with us in Costa Rica and in our 2006 workshop!  Alan Klein, Ellicott City, MD, USA. Alan Klein supports HumanDHS's work. He is Don's son and Becca's father and has kindly facilitated the "Open Space" Session in our 2004 workshop and our Costa Rica meeting. - Hartling, Linda M., Luchetta, T. (1999), Humiliation: Assessing the Impact of Derision, Degradation, and Debasement, First Published by: The Journal of Primary Prevention, 19(4): 259-278. - Hartling, Linda M., Wendy Rosen, Maureen Walker, Judith V. Jordan (2000), Shame and Humiliation: From Isolation to Relational Transformation, The Jean Baker Miller Training Institute (JBMIT), Wellesley Centers for Women, Wellesley College No. 88, Wellesley, MA 02481. - Hartling, Linda M. (2005), An Appreciative Frame: Beginning a Dialogue on Human Dignity and Humiliation, introductory text presented at "Beyond Humiliation: Encouraging Human Dignity in the Lives and Work of All People," 5th Annual Meeting of Human Dignity and Humiliation Studies in Berlin, 15th -17th September, 2005. - Hartling, Linda M. (2005), Humiliation and Assistance: Telling the Truth About Power, Telling a New Story, paper presented at "Beyond Humiliation: Encouraging Human Dignity in the Lives and Work of All People," 5th Annual Meeting of Human Dignity and Humiliation Studies in Berlin, 15th -17th September, 2005. - Hartling, Linda M. (2005), Humiliation: Real Pain, A Pathway to Violence, preliminary draft of a paper presented at Round Table 2 of the 2005 Workshop on Humiliation and Violent Conflict, Columbia University, New York, December 15-16, 2005. - Jordan, Judith, and Hartling, Linda M. (2006), Relationship Tips, Jean Baker Miller Training Institute. - Hartling, Linda M. (2006), From Humiliation to Appreciation: Walking Toward Our Talk, abstract presented at the Second International Conference on Multicultural Discourses, 13-15th April 2007, Institute of Discourse and Cultural Studies, & Department of Applied Psychology, Zhejiang University, Hangzhou, China, as part of the 9th Annual Meeting of Human Dignity and Humiliation Studies. 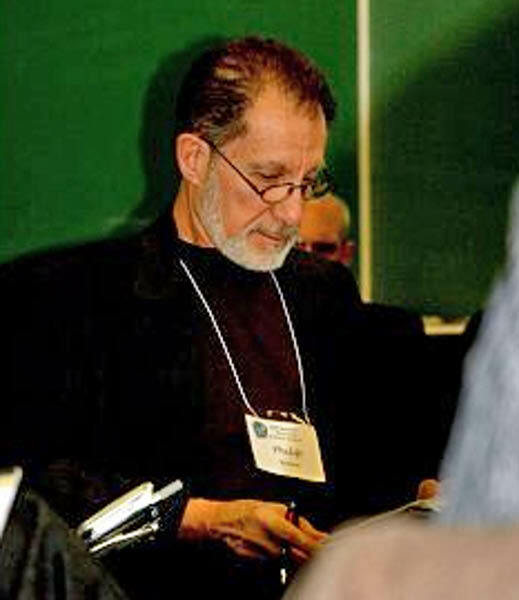  Richard Slaven, Brandeis University, Massachusetts, USA. Richard Slaven is a Member of the HumanDHS Global Advisory Board and a Member of the HumanDHS Planning Committee. Rick most kindly supports all our meetings. We cannot imagine having a meeting without his help! Please see also: Hilary Silver & S.M. Miller (2003), Social Exclusion: The European Approach to Social Disadvantage, Indicators, 2 (2, Spring), pp. 1-17.  Victoria C. Fontan, is the Director of Academic Development, and Assistant Professor of Peace and Conflict Studies at the United Nations-mandated University for Peace in San Jose, Costa Rica. As a Fellow to the Iraq Project at the CICR in Columbia University, Victoria is in charge of developing a permanent Conflict Resolution curriculum in northern Iraqi universities. Victoria has kindly taken upon her the task to be the editor of our new journal, and to develop edited books with your contributions.  Anne Wyatt-Brown, University of Florida, now Baltimore, USA. Bertram Wyatt-Brown and Anne Wyatt-Brown are both Members of the HumanDHS Board of Directors, and Members of the HumanDHS Global Advisory Board. Bert kindly wrote (May 27, 2005): My wife and I are both looking forward to coming 15-16 December. Anne Wyatt-Brown is a specialist on the Holocaust and also on aging studies and is now the editor of a new publication in that field. Please see here Honor, Shame, and Iraq in American Foreign Policy, note prepared by Bert for our 2004 Workshop on Humiliation and Violent Conflict. Please see also Bert's abstract The Psychology of Humiliation: Mann’s “Mario and the Magician” and Hawthorne’s “Major Molineux, My Kinsman”, presented at the 23rd International Literature and Psychology Conference 2006, by the Institute for Psychological Study of the Arts (IPSA), University of Florida and the Department of Education, University of Helsinki, and our 2006 Workshop on Humiliation and Violent Conflict. 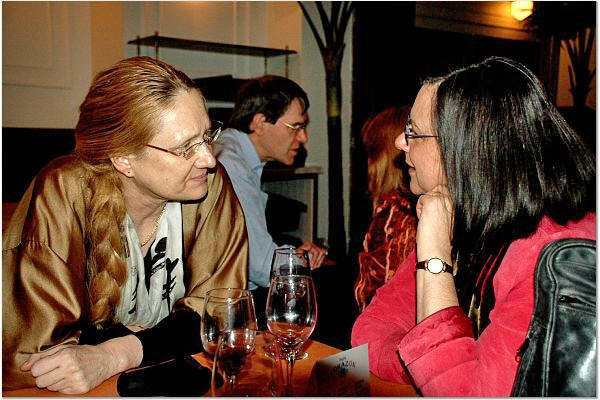 Anne M. Wyatt-Brown kindly wrote (2 November, 2005): Dear Evelin, [...] I plan to talk about the book you mentioned in connection with your parents, A woman in Berlin. I think it raises issues that need to be addressed about the relativity of humiliation experiences. Moreover, I wonder if the behavior of her fianc is entirely caused by the loss of honor or fear of her resourcefulness. Kenneth Kenniston talked about the difficulty American couples had post WWII when husbands returned to households which their wives had run successfully during the war. These are issues that can be talked about and have application to other situations. Best, Anne. Please see Anne's abstract presented at Round Table 2 of our 2005 workshop: A Woman in Berlin: The Complexity of Humiliation at the End of World War II. Please see also her abstract presented at our 2006 Workshop: Humiliation In My Brother’s Image.  Manal Radwan, Saudi Embassy, will accompany Sara. She wants to conduct her dissertation on humiliation.  Carlos E. Sluzki, Professor at the College of Health and Human Services and at the Institute for Conflict Analysis and Resolution, George Mason University, and Clinical Professor at the Department of Psychiatry and Behavioral Sciences, George Washington University Medical School. 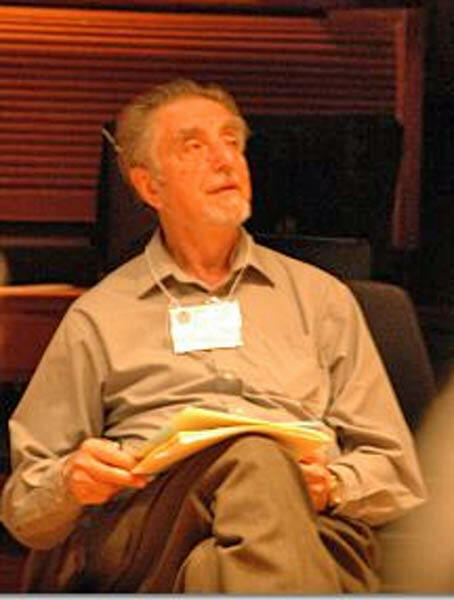 Carlos E. Sluzki is a Member of the HumanDHS Global Advisory Board. Please see here Elements of Humiliation-Shame Dynamics for Computational Modeling and Analysis of Real-Life Scenarios, draft of presentation at the 2004 Workshop on Humilliation and Violent Conflict, Columbia University, New York, November 18-19, 2004. 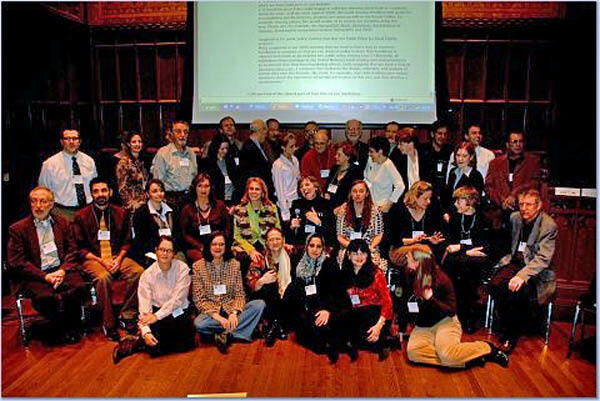 Humiliation Therapeutics (powerpoint presentation), developed at our 2004 Workshop on Humiliation and Violent Conflict, NY, 2004.  Monty G. Marshall, PhD, Director, Polity IV and Armed Conflict and Intervention Projects, Research Director, Center for Global Policy, Research Professor, School of Public Policy, George Mason University, USA.  Manas M. Ghanem, Eastern Mennonite University, Virginia, USA. Manas is a Member of the HumanDHS Research Team. Manas M. Ghanem is a researcher in our upcoming Refugees and Humiliation Project. The title of her HumanDHS research project is Iraqi Refugees in Syria and Jordan & Humiliation. Fulbright Scholar, Center for Justice and Peacebuilding, EMU, Virginia. Rina is a Member of the HumanDHS Global Core Team. Please see Rina's abstract of a paper presented at Round Table 3 of our 2005 Workshop: The Subversion of the Colonial System of Humiliation: A case study of the Gandhian Strategy. - The Third Force: A Practical, Community-Building: Approach to Settling Destructive Conflicts, note presented at the 2004 Workshop on Humiliation and Violent Conflict, Columbia University, New York, November 18-19, 2004. - The Post Victim Ethical Exemption Syndrome: An Outgrowth of Humiliation, note presented at the 2006 Workshop on Humiliation and Violent Conflict, Columbia University, New York, December 14-15, 2006. - Horizontal Inequality and Humiliation: Public Policy for Disaffection or Cohesion?, note presented at Round Table 3 of the 2005 Workshop on Humiliation and Violent Conflict, Columbia University, New York, December 15-16, 2005.  Patricia O'Hagan, Consultant to DESA, UN, Executive Director - CPDES. Patricia O'Hagan is a Member of the HumanDHS Global Advisory Board. Please see here Humiliation and Resiliency in the Social Integration Process: Towards a model framework and policy dialogue at the United Nations, note presented at the 2004 Workshop on Humiliation and Violent Conflict, Day 2, Roundtable: "Can the notion of humiliation be useful for public policy planning? 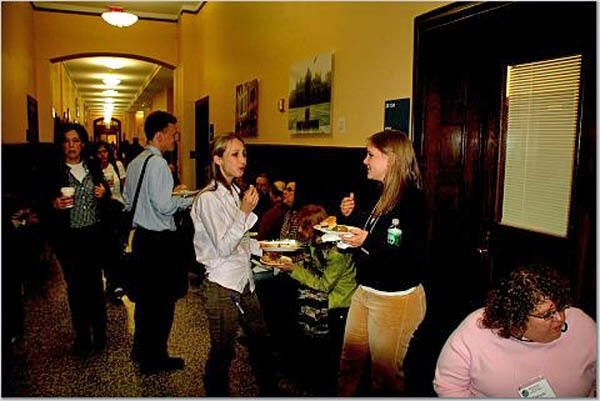 ", Columbia University, New York, November 18-19, 2004.  Maggie O'Neill, Loughborough University, UK. 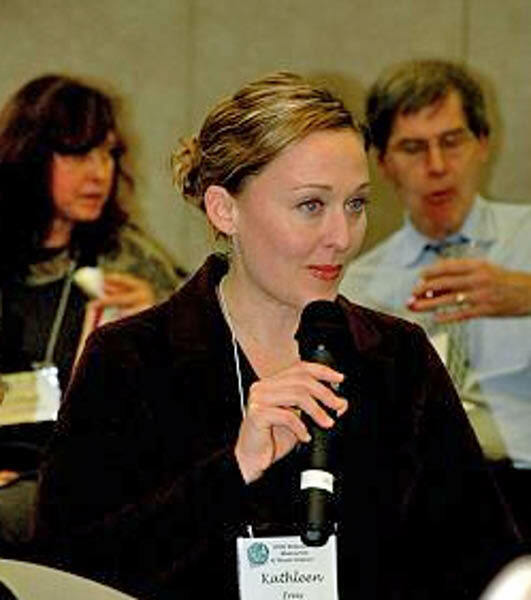 Maggie O'Neill is a Member of the HumanDHS Global Advisory Board. Maggie is an Academic Advisor to our upcoming Refugees and Humiliation Project. - Forced Migration, Humiliation and Human Dignity: Re-Imagining the Asylum-Migration Nexus through Participatory Action Research (PAR), abstract presented at the 2006 Workshop on Humiliation and Violent Conflict, 8th Annual Meeting of Human Dignity and Humiliation Studies in New York, December 14-15, 2006. - Stop Hazing and Bullying. - the abstract that Floyd presented at our 2005 Workshop on Humiliation and Violent Conflict, Six Research Designs on Humiliation. - the abstract presented at the 2006 Workshop on Humiliation and Violent Conflict, Preventing Inadvertent Humiliation. 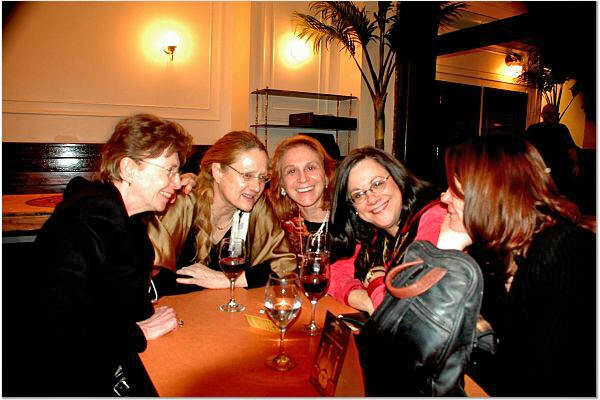 Sharon kindly wrote (August 25, 2006): Dear Evelin and Linda, I plan to attend the meeting in NYC Dec. 14-15 and would like to moderate a Roundtable. Since I just started reading your book, I've been thinking of you especially at this moment in time. Sharon. Please see Mediated Humiliations: Spectacles of Power in Postmodern Cultur, abstract presented at the 2005 Workshop on Humiliation and Violent Conflict, Columbia University, New York, December 15-16, 2005. Please see Humiliation and Honor, Patricia's note for the Round Table 1 of the 2005 workshop. Please see the note Annette presented at our 2005 workshop: Displaced Identity and Humiliation in Children of Vietnam Veterans. Please see also the Special Symposium Issue that Annette is preparing together with D. Raja Ganesan.  Miriam Marton, Lawyer, New York, (formerly Detroit), USA. Miriam Marton is a Member of the HumanDHS Global Core Team and the Research Team. She is part of the upcoming Refugees and Humiliation Project. The title of her HumanDHS research project is The Dual Humiliation of Female Refugees by Sexually Violent, Gender-based Acts. - Virginia Swain and Sarah Sayeed (2005), Reconciliation as Policy: Moving Beyond the Victim-Perpetrator Lens in the United Nations Secretariat and Member States, draft for a chapter for Victoria Fontan's planned book on Humiliation, presented at Round Table 3 of the 2005 Workshop on Humiliation and Violent Conflict, Columbia University, New York, December 15-16, 2005. - Virginia Swain and Sarah Sayeed (2005/6), Reconciliation as Policy: A Capacity-Building Proposal for Renewing Leadership and Development, update of the draft for a chapter for Victoria Fontan's planned book on Humiliation, presented at Round Table 3 of the 2005 Workshop on Humiliation and Violent Conflict, Columbia University, New York, December 15-16, 2005. - Virginia Swain and Sarah Sayeed (2006), A Leadership and Practice to Reconcile Challenges in a Post-September 11th World, draft for a paper for the Journal of Human Dignity and Humiliation Studies, presented at the 2006 Workshop on Humiliation and Violent Conflict, Columbia University, New York, December 14-15, 2006.  Sarah Sayeed, Ph.D., Women in Islam, Inc. and The Institute for Global Leadership. Jean B. Ndayizigiye kindly wrote (June 8, 2005): I plan to attend the December workshop on Humiliation and violent conflict at Columbia University in New York. All the round tables seem very interesting, I will participate in the RT#2. Avec mon meilleur souvenir, enjoy your Summer. Thanks, Jean B. Ndayizigiye.  Robert Kolodny, Robert Kolodny & Associates, independent organization development consultant based in NYC. I would like to be part of a roundtable to talk about "A Gestalt Perspective on Shame and Humiliation." Most of my experience is in workplaces and organizational settings (also conflict resolution in inter-organizational settings) and so does not involve Violent Conflict, which I understand is your focus. At the same time, I have a sense that the perspective I bring would be additive to your deliberations. I did not see the way I understand the human dynamics of shame and humiliation (and the pervasiveness of their influence) reflected in the presentations at last year's conference, although it is certainly consistent with many of the approaches I heard others describe. Please see A Gestalt Perspective on Shame and Humiliation, summary of presentation to be made at the 2006 Workshop on Humiliation and Violent Conflict, Columbia University.  Ben Alexander, Senior Partner, Alexander Consulting & Training, Inc., Norfolk, VA, Helping organizations meet the challenge of change. Ben Alexander kindly wrote (on December 4, 2006): In the twenty-four years that I have been working as a consultant and trainer in the area of human resources management I have worked with a wide range of private, government and military organizations on issues of leadership, team building, conflict resolution and creating healthy workplaces free of discrimination, harassment and other forms of disrespectful behavior. In doing this work I have had many experiences with the dynamics of shame and humiliation as they relate to various conflicts within organizational settings. Based upon my experience with the Gestalt Systems and Levels Model, I have often been able to see the critical relationship between the anger acted out by employees who have experienced the humiliation of helplessness that results from working in oppressive systems and the shame-based arrogance of the managers and supervisors who are not able to face the truth of the disrespect that reveals what is really valued in their organizations. The result is a powerful cycle of anger, fear, recrimination, shame and guilty that impairs learning, performance and openness to change. Finding safe ways to get the "truth" on the table so that it can be used constructively to break this cycle has been one of my most difficult challenges. It is for this reason that I am looking forward to attending the workshop. I feel that hearing these issues discussed will be helpful to me in moving along in my work. To the extent that the discussions in which I may become involved will offer opportunity for me to participate, I hope that I will be able to make a contribution from my experience. Sincerely, Ben.  Ana Prieto has a degree in Social Communication and is currently specializing in Education and Media Language at the Universidad Nacional de San Martín. She is currently a guest at the International Center for Tolerance Education, an initiative of the Third Millennium Foundation, New York.  Kathleen Freis, Education Director, International Center for Tolerance Education, an initiative of the Third Millennium Foundation, Brooklyn, New York, USA.  Jinan Nakshabandi graduated from the Technology University in the capital of Baghdad in 1987. She is currently a guest at the International Center for Tolerance Education, an initiative of the Third Millennium Foundation, New York. Jinan stood out as an exceptional woman leader with grand vision for womens empowerment within Jordan and, hopefully, in the future, Iraq. Please see a bit about Jinan and her organization here, written by a Fulbright student in Jordan. She is also on our website (please scroll down to her name). 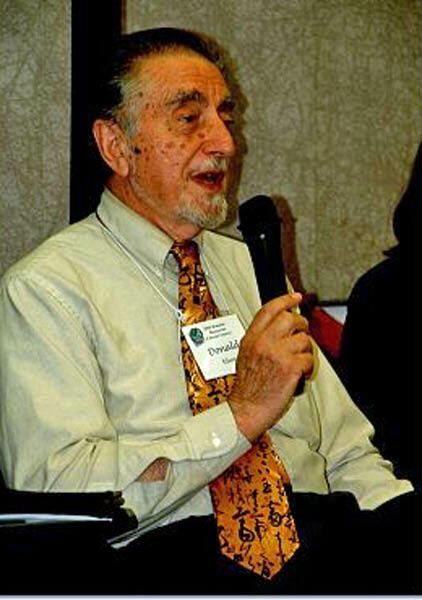  Thomas Scheff, Professor Emeritus at the Department of Sociology, UCSB, Santa Barbara, CA, and a Member of the HumanDHS Global Advisory Board. Tom kindly wrote (August 25, 2006): Evelin and Linda, Good work! Can't make it to NY, but you have my support and best wishes. Tom. - Silence and Mobilization: Emotional/relational Dynamics.  Michael Kimmel, Professor of Sociology at State University of New York, Stony Brook, and a Member of the HumanDHS Global Advisory Board.  Ada Aharoni, writer, poet, playwright and lecturer, was born in Cairo, Egypt, and now lives in Haifa, Israel. She has published 25 books to date, that have won her international acclaim, and a Member of the HumanDHS Global Advisory Board. Ada kindly wrote (August 25, 2006): Dear Evelin, Best success! I wish I could be with you. With love, Ada.  Lene Lafosse, working on her thesis for the Cand. Polit. degree at the Institute of Social Anthropology at the University of Oslo, Norway, and a Member of the HumanDHS Global Core Team. Lene kindly wrote (August 25, 2006): hi Evelin and Linda! thank you so much for the invitation! my activity level this fall-winter is already too high, so i will not be able to come to NY. although i haven't taken an active part yet, the Human dhs group often comes to my mind; i find the perspective of humiliation interesting and it adds a very important dimension to the issues we have as a common interest. i feel i will come forward stronger in the Human dhs network at a later point. i wish you good luck in NY! Best regards, Lene Lafosse.  Dennis Rivers, writer/teacher/peace activist who lives in Santa Barbara, teaches communication skills at the Santa Barbara Community Counseling & Education Center, directs the activities of the Institute for Cooperative Communication Skills, and edits several large peace and ecology web sites, and a Member of the HumanDHS Global Advisory Board. Due to illness, Dennis had to cancel joining our 2006 workshop in the last minute. Dennis kindly wrote (August 25, 2006): Dear Evelin, I wish you all the best in your winter gathering. I am enclosing a link to an inspiring article about appreciative inquiry that I feature on the front page of my communication web site. I feel certain that this article has implications for our work. It would cetainly be an interesting study to go into an environment characterised by humiliation and find the few exceptional instances of dignity-granting. According to the article, those "positive deviants" would show the way that dignity-granting might be expanded in that particular environment. Hope you like the article. Many blessings, Dennis. He kindly adds (August 26, 2006): Dear Evelin, I am delighted that you like the article about the Sternin's and would like to use it as a point of discussion in Costa Rica. What I like so much about the article is that the shift of perspective from problem-oriented to solution-oriented approaches is blazingly clear. It reminds me of the way that the historian of science, Thomas Kuhn, used the Copernican Revolution as an example of a scientific breakthrough that came not from new data but from a new way of putting the old data together. Kuhn's example was so vivid that it was, for me, unforgettable. We need those vivid examples to help us make big Gestalt shifts. I also want to say that I am not advocating appreciative inquiry as a new dogma, as easily happens in the USA with ideas about "positive thinking," especially not now when the USA is torturing and bombing people around the world. So, I want us to be able to talk about problems, but also shift to other perspectives, so that we do not become trapped in the perspectives that underlie our "problem talk." Many blessings, Dennis. by Denis Rivers, dedicated to three of his teachers, Joanna Macy, the late Prof. Walter Capps and the Quaker peace activist, Gene Knudsen Hoffman.  Alyi Patrick Lalur (Uganda/UK), currently enrolled for the Masters of Philosophy in International Peace Studies at the United Nations-mandated University for Peace with research interest in Justice and Reconciliation during period of war, and a Member of the HumanDHS Global Core Team. Alyi Patrick Lalur is Director and Coordinator of HumanDHS's Child Soldiers Worldwide Project. Patrick kindly wrote (August 26, 2006): Dear Evelin, Thank you for this mail and that of yesterday inviting me to the December NY confrence. This is a great opportunity for me and the rest of the team. Let me therefore confirm my attendance by copy of this mail. I will be sending you abstract of my work soon. I will also get back to you regularly in the course of time. Thanks, Patrick. Please see Understanding Humiliation As Suppressed Anger, abstract presented at Round Table 1 of our 2006 Workshop on Humiliation and Violent Conflict, Columbia University, New York, December 14-15, 2006.  Kathleen Modrowski, Professor and Director of the Friends World Program at Long Island University, Southampton Campus, New York, and a Member of the HumanDHS Global Advisory Board. Kathleen kindly wrote (August 28, 2006): Dear Evelin, So good to hear from you. I am very excited to attend the meeting. I would like to participate in the Roundtable on Humiliation being relevant to destructive conflict. I think I will be a supporter. I spent time in Bosnia this summer and have had a very strong experience in this area. I would like to work it into a case study but I am not sure that I have enough substantive information just yet. The area of the legagy of humiliation in a post convflict situation is very important and I would like to conntinue to work on this. I feel that the "tools" of human rights learning and education are not adequate and need to expand my resources. Much love. Kathleen.  Florina Benoit is completing her Ph.D. in Social Work on the quality of life of Sri Lankan Tamil refugees living in camps in Tamil Nadu. She is a Member of the HumanDHS Research Team.  Rev. Gladston Xavier, PhD., Former Principal, Loyola College, Chennai, India. He is a Member of the HumanDHS Research Team. Florina kindly wrote (August 29, 2006): Dear Evelin, We (Ashok my husband and myself) would like to attend the meeting on Humiliation and Violent Conflict, kindly let me know what we should do. We would like to make a presentation on the types of social change efforts that show promise in reducing violent conflict and humiliation while upholding the dignity of all people based on our experience in working with the Sri Lankan refugees. The refugees from Sri Lanka have begun pouring in once more. It is disheartening to hear their stories. I hope this will be a good time to share our experiences with them. Looking forward to hearing from you. Peace, Florina.  Øystein Gullvåg Holter, Senior Researcher at the Work Research Institute in Oslo, Norway, and a Member of the HumanDHS Global Advisory Board. Øystein kindly write (August 31, 2006): Kjære Evelin, Jeg vil undersøke på NIKK om det er mulig å få støtte. Hadde vært fint å være med! Hilsen Øystein. 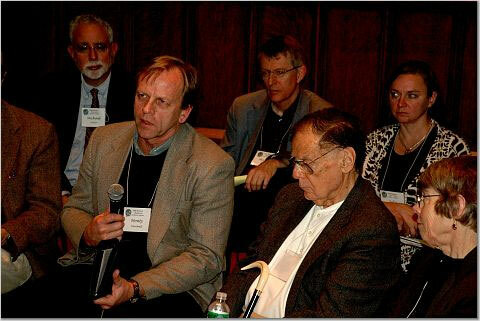 see his paper from our 2004 NY meeting: How Dynamics of Humiliation Can Be Overcome by Apology. See also his talk Assistance in Intercultural Settings and its Links with Dignity and Humiliation at the Public Event of our 2005 Berlin meeting. Arie kindly proposes as one of the Round Table topics "Justice and Humiliation." He wrote (April 28, 2005): Dear Evelin, another topic that may be of interest is: "Justice and Humiliation." I refer to the ways in which different principles of justice (mainly retributive vs. restorative justice) are driven by the desire to impose/avoid humiliation on the wrongdoer. I am currently reading some stuff on retributive and restorative justice systems and find myself fascinated by the potential integrative power of the concept of humiliation in such discussions.  Barry Hart, Ph.D., Center for Justice and Peacebuilding, Eastern Mennonite University.  Nick Martin, currently a visiting fellow at the United Nations University for Peace (UPEACE) campus in Costa Rica. Nick Martin is a Member of the HumanDHS Global Core Team. Nick kindly wrote (September 9, 2006): I would love to join you all in new york in December if its possible.  Victor Adangba, (USA/Ivory Coast) is a Doctoral Student in Moral Theology and Ethics at the Jesuit School of Theology at Berkeley, USA. Victor Boudjou Adangba is a Member of the HumanDHS Research Team. He is a researcher in our upcoming Refugees and Humiliation Project. The title of his project is Immigrants, Refugees in West Africa and Humiliation. Victor kindly wrote (September 18, 2006): Dear Evelin, I would like to attend the forthcoming meeting in NY, December 14-15, 2006. I would like to look at tribal name calling in Africa and its potential for humiliation and tribal clashes. This is still a project. Please let me know if there is an opening for this conference. Victor.  Nora Femenia, Ph.D., Associate Faculty, Florida International University, Miami, FL, U.S.A. Please see Emotional Actor: Foreign Policy Decision-Making in the 1982 Falklands/Malvinas War, in Patrick G. Coy, and Lynne M. Woehrle (Eds. ), Social Conflicts and Collective Identities. Lanham, MD: Rowman & Littlefield Publishers, 2000. Nora kindly wrote (September 9, 2006): Dear Linda, Evelin. Many thanks for this answer, I feel that I've found finally a niche where my two fields (CR and Psychology) can coexist and produce...this connection was sorely missing when I got to Syracuse U., in 1989. Nora. 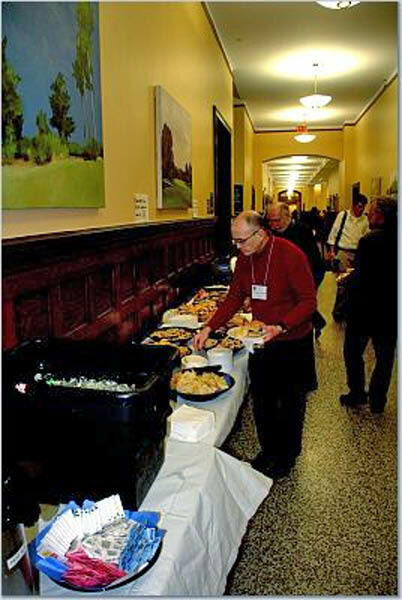 Merle kindly wrote (June 22, 2005): Thank you so much for the invitation to attend the meeting in December! 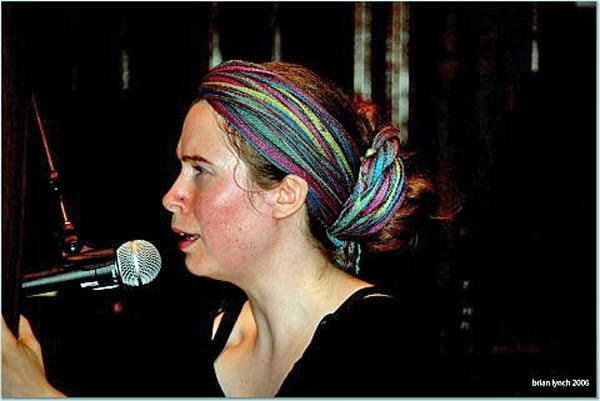 Please see the note that Merle presented at our 2005 workshop: When the Butterfly Flaps Her Wings in Gaza.  Dana L. Comstock, Ph.D., St. Mary’s University, Department of Counseling and Human Services, One Camino Santa Maria, San Antonio, Texas, USA.  Jasmine M. Waddell, Ph.D., Postdoctoral Research Fellow, Wellesley Centers for Women, Wellesley College, Boston, USA. Please see the abstract Jasmine has presented at the 2006 workshop: Ubuntu, Dignity and Humiliation.  Roberta Kosberg, Professor, Curry College, USA. 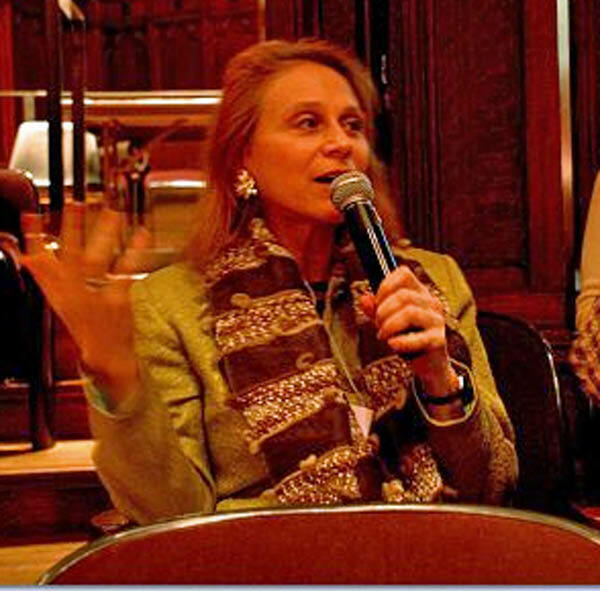 Roberta Kosberg is a Member of the HumanDHS Global Core Team. Brian Lynch wrote (September 26, 2006): I just finished reading "Humiliation in a Globalizing World: Does Humiliation Become the Most Disruptive Fore?" My answer is yes. I would just like to wish you all well and support and introduce myself and maybe join with you in some small way. I am a physician who came across Silvan S. Tomkins' work through knowing Donald Nathanson, both of which Dr. Lindner referenced. Since then I can say 100 per cent of my efforts have revolved around promoting his ideas. I have reached out as possible through the Internet and with what little contacts I have. For years I thought that Thomas Friedman has certainly been interesting in his repetition that "humiliation is the greatest single problem in the Middle East" and it is one of the best if not the best examples of how some of the best and crucial information languishes in our midst even while being articulated that there is. Other than that I try daily to refine a true mind-body medicine made real through Tomkins' idea of biological affect. Thank you for any time and or attention you my give this it looks like we are all trying to get to the same place. Please see Silvan Tomkins' Conceptualization of Humiliation, abstract presented at the 2006 Workshop on Humiliation and Violent Conflict. Please see also Notes on a Conference, notes that he prepared after our 2006 Workshop on Humiliation and Violent Conflict. Charles Knight is co-director of the Project on Defense Alternatives at the Commonwealth Institute, which he helped found in 1987 and where he serves as President. In 1989, he founded the Ground Force Alternatives Project at the Institute for Defense and Disarmament Studies, where he was a Research Fellow. The Ground Force Alternatives Project later became the Project on Defense Alternatives. He is also the director of the Progressive Strategies Studies Project. He has authored and co-authored numerous publications and made presentations on peace and security issues at governmental and non-governmental institutions. In the mid 1990s, he served as a consultant to the post-apartheid South African government on stability-oriented security options for southern Africa. Since 2004 he has been studying how conventional male gender identities function in conditions of patriarchy to support the formation of war parties in the politics of national security. Within this he is looking at the potential for change arising from the liberation of other male gender identities. Charles wrote (October 17, 2006): Dear Evelin: [...] here is what I would like to contribute: very brief remarks in the form of a few propositions regarding the role of humiliation in enforcing conventional masculinity learning and behavior and the potential of a certain type of “men’s movement” for liberating (some portion of) men from the humiliation/violence complex and therefore contributing to a broader movement for positive social change.  Christopher Santee, University for Peace in Costa Rica. 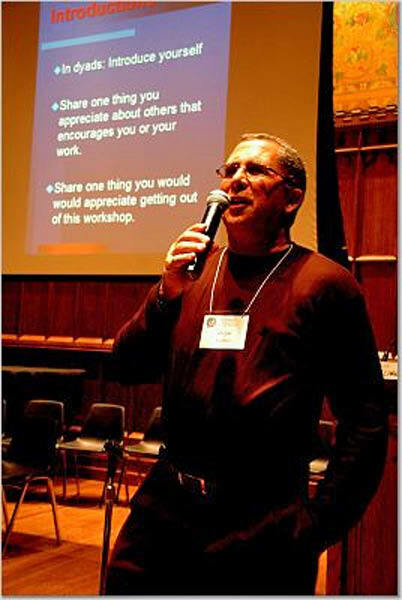  Eric C. Marcus, Ph.D., Prinicipal of The Marcus Group, Maximizing Organization, Team & Individual Development, NY, USA.  Tony Castleman, Food and Nutrition Senior Program Officer, FANTA (Food and Nutrition Technical Assistance) Project, Academy for Educational Development, Washington DC, USA, and Ph.D. student at George Washington University in development economics with a dissertation topic that is related to humiliation and human dignity. Unfortunately, Tony had to cancel in the last minute. Please see The Role of Human Recognition in Economic Development: Theory, Measurement, and Evidence, extended abstract presented at the 2006 Workshop on Humiliation and Violent Conflict, Columbia University, New York, December 14-15, 2006.  Jacque Steubbel, journalist, working on a theological advanced degree at the University of the South, Sewanee, planning to move on to a PhD in Middle Eastern history. Director, Online Mental Disability Law Program, New York Law School, New York, NY. Please see "Friend to the Martyr, a Friend to the Woman of Shame": Thinking About The Law and Humiliation, the resentation that Michael presented at the 2006 Workshop on Humiliation and Violent Conflict, Columbia University. • Sibyl Ann Schwarzenbach, Associate Professor of Philosophy at The City University of New York (Baruch College and the Graduate Center).  Melissa Gage, New York US, bilingual high-school junior dedicated to peace. Please see Different Types of Humiliation Elicit Different Emotional, Cognitive And Behavioral Reactions, the note Melissa presented at the 2006 Workshop on Humiliation and Violent Conflict.  Judith Thompson, Frontiers of Social Healing Dialogue, USA. Judith is a Member of the HumanDHS Global Advisory Board.  Anie Kalayjian, American Board Certified Expert in Traumatic Stress, logotherapeutic psychotherapist, researcher, and consultant, USA. Please meet Anie at http://www.meaningfulworld.com/bio.html. Anie is a Member of our HumanDHS Global Advisory Board. 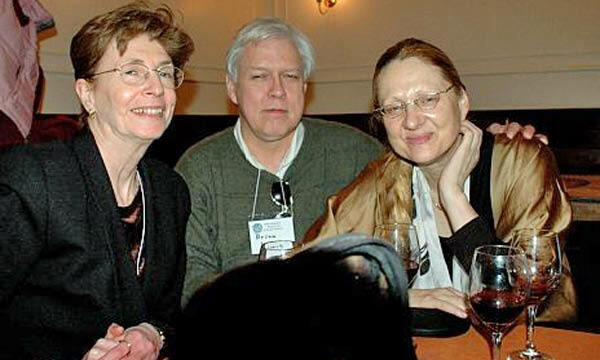 Anie kindly wrote (July 13, 2005): Dear Evelin: This is a wonderful conference, and I am looking forward to do a forgiveness workshop or a panel. Kindly let me know what you need from us. I am attaching a one page short resume for your information. Much gratitude, Anie. 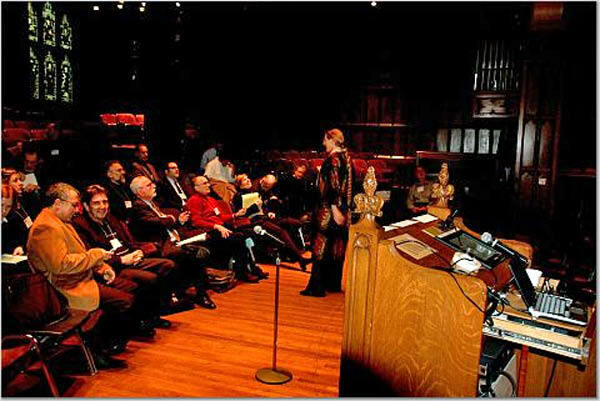 Please see Turkish Denial of the Genocide of Armenians, Greeks, Assyrians: Transforming Humiliation into Understanding and Forgiveness, abstract written for the Workshop on Humiliation and Violent Conflict, Columbia University, New York, November 15-16, 2005. See also Israeli & Hezbollah Conflict: International Perspectives on the Future of Peace in the Middle East, a paper that Anie Kalayjian co-authored with Luke Anable in August 2006: During a layover in Frankfurt, Germany, Anie Kalayjian interviewed randomly selected individuals in an attempt to gauge the public’s emotional and psychological response to the Israeli & Hezbollah war.  Michael Britton, Ed.D., Psychologist, NJ, USA. Co-founder of the New Jersey Psychologists for Social Responsibility, and Associate Fellow of Rutgers University 's Center for Historical Analysis, and the Project on War, Peace and Society in Cultural and Historical Perspective.  Rosita Albert, Visiting Scholar, Harvard University, Cambridge, MA, and Department of Communication Studies, University of Minnesota, Minneapolis, MN, USA. 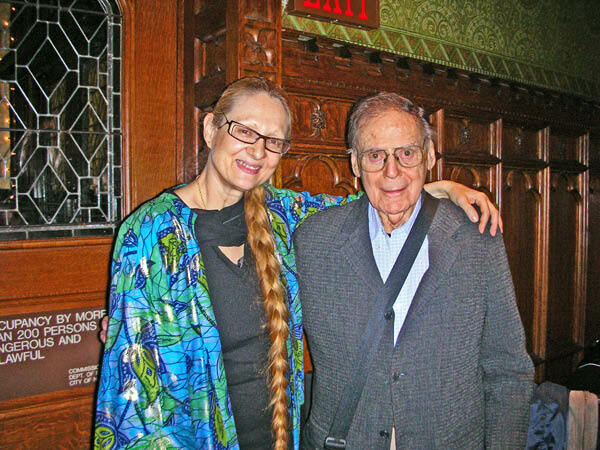 Her sponsor at Harvard is Prof. Herbert Kelman. Rosita kindly wrote (November 20, 2006): "I am a Visiting Scholar in Social Psychology area of the Psychology Dept at Harvard, and my research focuses on Intercultural Relations and Intercultural Conflicts. I am also an Associate Professor in the pioneering program in Intercultural Communication in Department of Communication Studies at the University of Minnesota. I am a Founding Fellow and a member of the Governing Board of the International Academy for Intercultural Research. I am originally from Brazil, and my mother and grandparents left Germany to escape from Hitler. It is because of this background that I work to create respectful relations among groups from different backgrounds." Rosita speaks Portuguese, French, Spanish and English, and has had extensive experience with cultures from many parts of the world. Ph.D. in Social Psychology from the University of Michigan. She has taught in Psychology, Education and Communication at a number of Universities. Rosita has conducted research in a variety of topics, including research on a) the development and evaluation of the Intercultural Sensitizer, an instrument designed to foster intercultural sensitization; b) interactions between Latin Americans/Latinos and North or Anglo-Americans; c) the experiences and difficulties of Asian employees in American companies; d) conflicts and mutual misperceptions between African-Americans and Koreans in the U.S.; e) cultural differences in perceptions of negotiation; f) the effect of intercultural courses on intercultural development; and f) the effect of online interactions on perceptions of the other. Rosita has taught courses in social psychology, intercultural communication, negotiation, and diversity. These courses have included students from many fields, countries all over the world, and a very wide range of cultures. 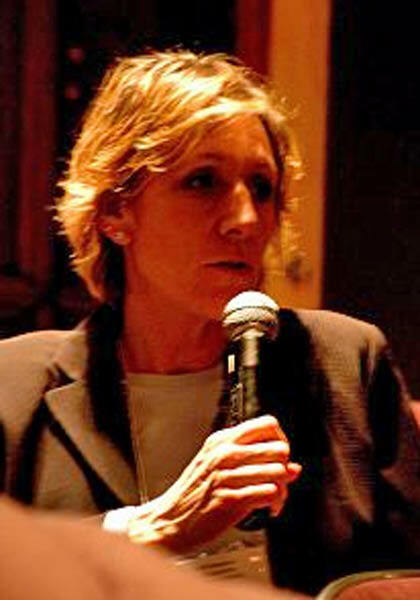 She has conducted intercultural and diversity training, given presentations, and consulted for a number of organizations, including the World Bank, the 3-M company, Booz Allen Hamilton, the National Association of Transplant Coordinators, the University of São Paulo, the University of Minnesota and a number of other institutions. Please see the abstract that Rosita presented at the 2006 Workshop on Humiliation and Violent Conflict, Violent Interethnic Conflict and Human Dignity: Major Issues in Intercultural Research and Knowledge Utilization.  Jessica Cichalski, Master of Public Policy and Administration, NJ, she conducted research for comparative projects on immigration, welfare state and family policies for publication.  Julie Strentzsch, M. A. in Community Counseling, an LPC and is currently a doctoral student at St. Mary's University in San Antonio, TX, USA.  Doris Brosnan, Columbia University, New York, USA.  Allison Nicole Buehler, Columbia University, New York, USA. Allison recently worked with disability rights organizations and the UN Ad Hoc Committee in efforts to draft a UN Disability Rights Convention. Currently preparing for an internship with the International Labor Organization's Skills and Employability Department, Allison will continue to be involved in disability rights and the development of strategies to bring about the realization f the principles established by the disability rights convention. Additionally, Allison hopes to identify and develop ways for mediation and leadership programs to increase the capacity for people with disabilities act as self advocates. This will contribute to the realization of equal enjoyment of rights and dignity for all people, including those with disabilities. 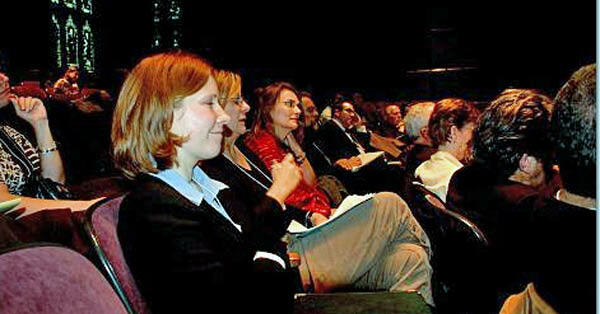  Olga Botcharova, international expert in conflict management and cross-cultural communications, Washington, DC, USA.  Nicholas B. Diehl, Associate Ombuds, Princeton University, Princeton, NJ, USA. Please see The Role of Dignity and Humiliation in the Organizational Context, his note presented at the 2006 Workshop on Humiliation and Violent Conflict, Columbia University.  Alison Anthoine, Attorney at Law, New York, NY. Alison Anthoine kindly wrote (December 3, 2006): I am an attorney/mediator in NYC with a particular interest in race and class issues. I am now developing a new project focusing on the dignity (and lack thereof) accorded patients in NYC hospitals, and would very much like to attend the closed sessions of your conference.Thanks in advance for your consideration, Alison Anthoine. 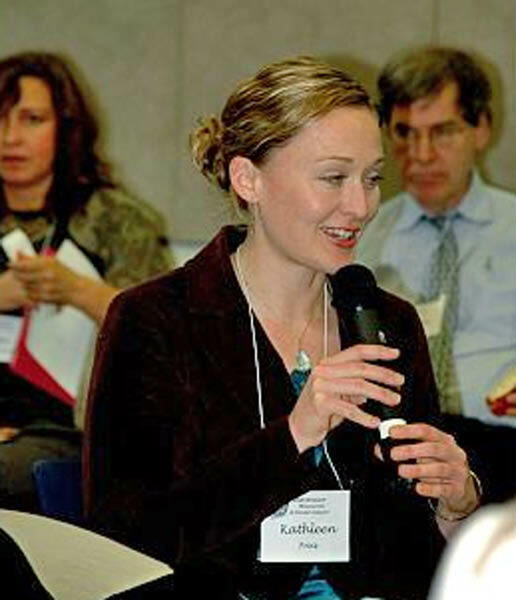 Alison Anthoine kindly wrote (December 12, 2006): I am currently developing a new social enterprise, HealthcareCommons.org, based on my observation that a largely overlooked aspect of the broken US healthcare system is the increasing lack of communication and trust between patients and professionals. By providing a non-commercial, consumer/patient-oriented online information service combined with a "social network with a purpose", HealthcareCommons.org will bridge the communication gap between patients and professionals, will help patients take control of their own health and health habits, and will contribute their voices to the improvement of healthcare quality and safety. 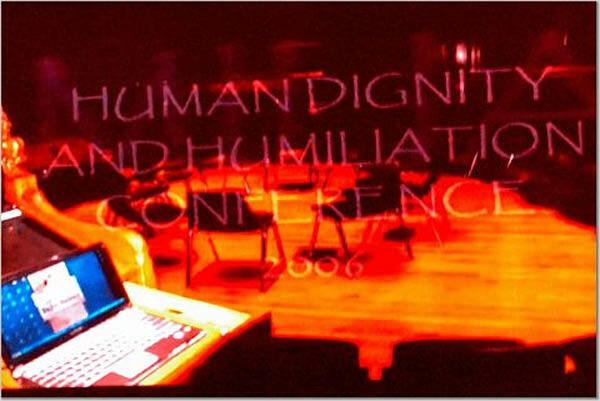 Please see The Role of Dignity and Humiliation in the Delivery of Healthcare Services, note presented at the 2006 Workshop on Humiliation and Violent Conflict, Columbia University.  Pamela H. Creed, Ph.D. Candidate, Conflict Analysis and Resolution, George Mason University, Washington DC, USA. Please see The Dominant American Narrative between 9/11/01 and the Invasion of Iraq, an introduction to a potential dissertation, written for for our 2006 Workshop on Humiliation and Violent Conflict. The dissertation aims to analyze the dominant American narrative between 9/11/01 and the invasion of Iraq through positioning theory and the literature on humiliation and conflict.  Stuart P.D. 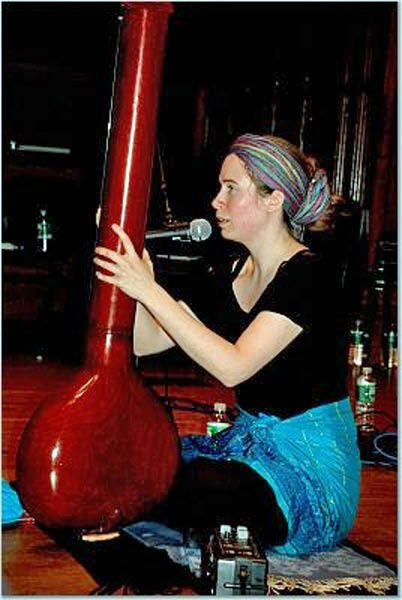 Gill, Ph.D., Columbia Science Fellow, Columbia University, USA. Addressing Humiliation through Listening with Respect: A Restorative Justice Model for Victims, Offenders, and Law Enforcement. Her contribution to our 2006 workshop is Fostering Connection and Positive Outcomes through Appreciation and Optimism. The Dominant American Narrative between 9/11/01 and the Invasion of Iraq Introduction to a potential dissertation, written for for the 2006 Workshop on Humiliation and Violent Conflict, Columbia University, New York, December 14-15, 2006. The dissertation aims to analyze the dominant American narrative between 9/11/01 and the invasion of Iraq through positioning theory and the literature on humiliation and conflict. Note presented at the 2006 Workshop on Humiliation and Violent Conflict, Columbia University, New York, December 14-15, 2006. Reconciliation as Policy: A Capacity-Building Proposal for Renewing Leadership and Development. Update of the draft for a chapter for Victoria Fontan's planned book on Humiliation, presented at Round Table 3 of the 2005 Workshop on Humiliation and Violent Conflict, Columbia University, New York, December 15-16, 2005. A Leadership and Practice to Reconcile Challenges in a Post-September 11th World. Draft for a paper for the Journal of Human Dignity and Humiliation Studies, presented at the 2006 Workshop on Humiliation and Violent Conflict, Columbia University, New York, December 14-15, 2006. Summary of Presentation To Be Made at the 2006 Workshop on Humiliation and Violent Conflict, Columbia University, New York, December 14-15, 2006. 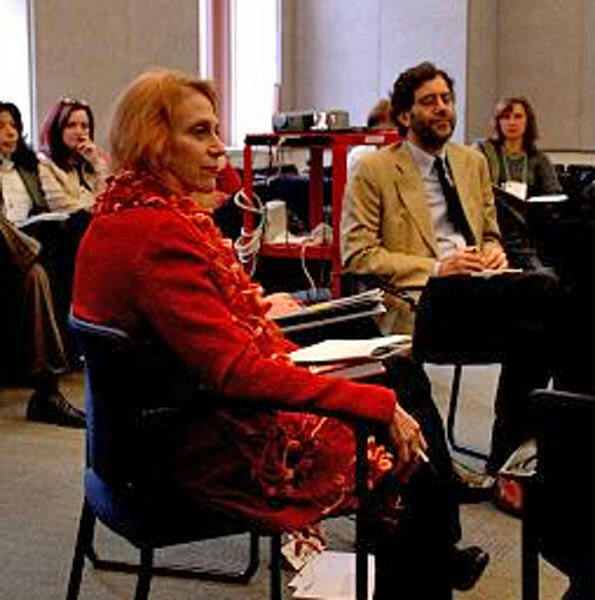 Presentation presented at the 2006 Workshop on Humiliation and Violent Conflict, Columbia University, New York, December 14-15, 2006. Extended abstract presented at the 2006 Workshop on Humiliation and Violent Conflict, Columbia University, New York, December 14-15, 2006. Abstract presented at the 2006 Workshop on Humiliation and Violent Conflict, 8th Annual Meeting of Human Dignity and Humiliation Studies in New York, December 14-15, 2006. Abstract presented at Round Table 2 of the 2006 Workshop on Humiliation and Violent Conflict, Columbia University, New York, December 14-15, 2006. Abstract presented at the 23rd International Literature and Psychology Conference 2006, by the Institute for Psychological Study of the Arts (IPSA), University of Florida and the Department of Education, University of Helsinki, and the 2006 Workshop on Humiliation and Violent Conflict, Columbia University, New York, December 14-15, 2006. Paper contributed to the 2006 Workshop on Humiliation and Violent Conflict, Columbia University, New York, December 14-15, 2006. Thesis submitted for the degree of Master of Arts, Peace Education. In Qualitative Sociology Review, II (1, April), pp. 39-52.